Vampire teeth and fake blood, glittery face paint and fancy masks. All these things are filling the stores as Halloween creeps closer and closer. You may or may not be dressing up this year but chances are it’s all your children can talk about. They discuss with their friends what they want to be, they beg you to take them to the crowded Halloween store before it shuts down, and they try to sneak pieces of Halloween candy without you noticing. 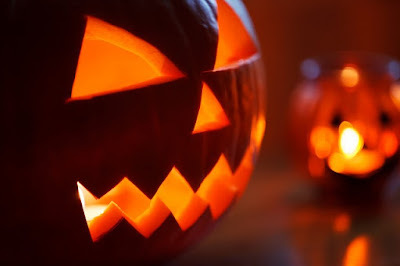 Halloween is a fun celebration to kick of the holiday season. It helps everyone keep in mind the fun side of life and get in touch with their creative sides. Between the decorating, the parties, and the costumes, October is a busy month, and when the day finally comes you want to make sure your little ones are looking perfect when they hit the streets with their empty bags, anticipation of the nights haul emanating from their little bodies as they squeal with excitement. You may not look forward to the weeks of candy eating ahead of you but it’s what your kids live for. And you want to make them happy, of course, so when they come to you with their idea of a perfect costume you bend over backwards to make that dream a reality. You probably begin by looking at Wal-Mart or K-Mart or whichever convenient store is closest to you that carries Halloween costumes. And this is a great way to begin your costume creation project. After you decide that none of those costumes is good enough for your little one you decide to search for some affordable and simple DIY Costume guides online and slowly a vision began to form in your head. Now you have a good idea of what you need and just want to find that final touch to make your little girl or boy’s costume as perfect as it can possibly be. Perfection is all in the finishing touches after all. Here are a few ideas to help make your witch or vampire or fairy look even cuter on Halloween night. Halloween is a time to let loose and have some fun. This means you don’t always have to be conventional in your costume construction. If you are looking for a way to spruce up a witch or a zombie or even a princess, then color is the answer. It’s dark when children are out trick or treating, and just like in theater, bold is okay. Bright is okay. If you have a little girl who wants to be witch, consider getting brightly colored tights or fancy children’s socks to bring some life to her attire. You don’t have to go out and buy expensive costume make up to make your little vampire or look real. You can take that costume to the next level using the makeup you wear every day. Google some pictures and get to work. Practice makes perfect so try the makeup out a few times to find the perfect blend of colors before your child’s final debut. If you need to make some fake blood, you don’t have to spend the extra money on that. You can use lipstick to draw dripping blood or make some out of common household items like corn starch, syrup and food coloring. There are many ways to get creative and make your child’s costume something extraordinary and unique when Halloween finally arrives. By adding little things here and there you will be able to bump that costume up to the next level so your child can feel good about his or her Halloween adventure, and you can do most of it without breaking the bank. Need even more ideas? Check out this step-by-step guide to being your favorite superhero this Halloween! Best part? You may even find most of the items around the house!